Normally we wouldn’t review a restaurant a Disney park. 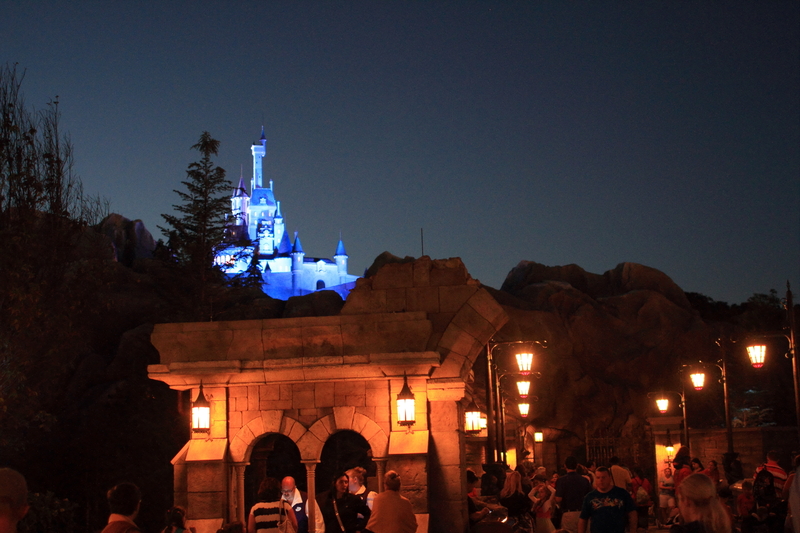 The experience at Walt Disney World can be far ranging; sometimes far exceeding expectations, but often lowering them. 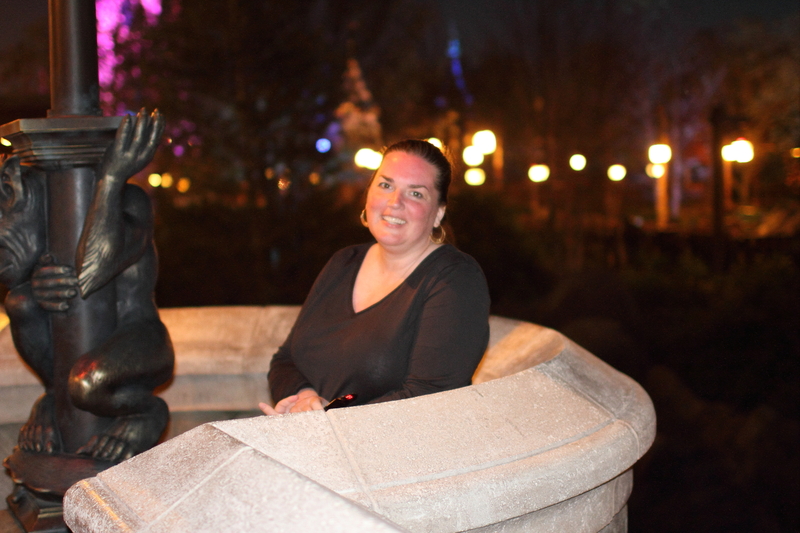 It follows the yin-yang of a Disney vacation in that nothing is ever exactly how one wants it to be. Your only hope is to experience something far-removed from everyday life. 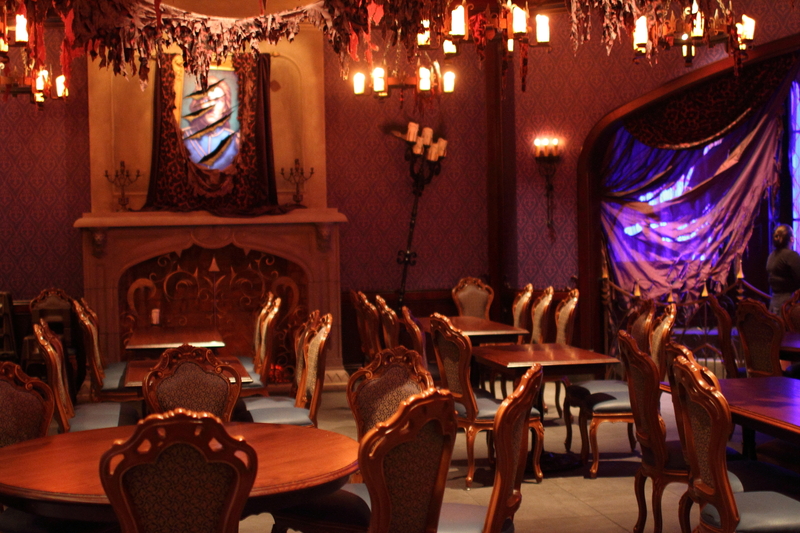 With “different” in mind rather than “good”, Be Our Guest Restaurant in the Magic Kingdom could be anything. Best to go in with an open mind. All we know is that’s it is incredibly hard to get into. Reservations we attained months in advance. This is not to say that it is popular. Unlike a hot New York restaurant, most diners will never have been there before and reviews are suspect at best. The wide bridge connecting the park to the restaurant is quite ingenious. 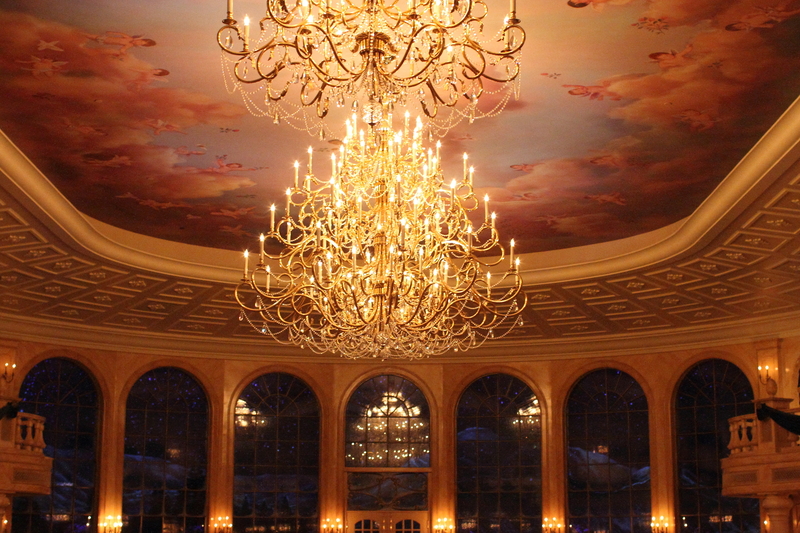 It removes the visitor from the traffic of the park and forces the sight-lines to show only the surrounding area that matches the Beauty and the Beast theme. In addition, it creates a substantial waiting area which is necessary when there is a 30 minute wait for your reserved table. Inside, we were seated in the Ballroom, a cavernous space made more intimate by very low lighting levels. 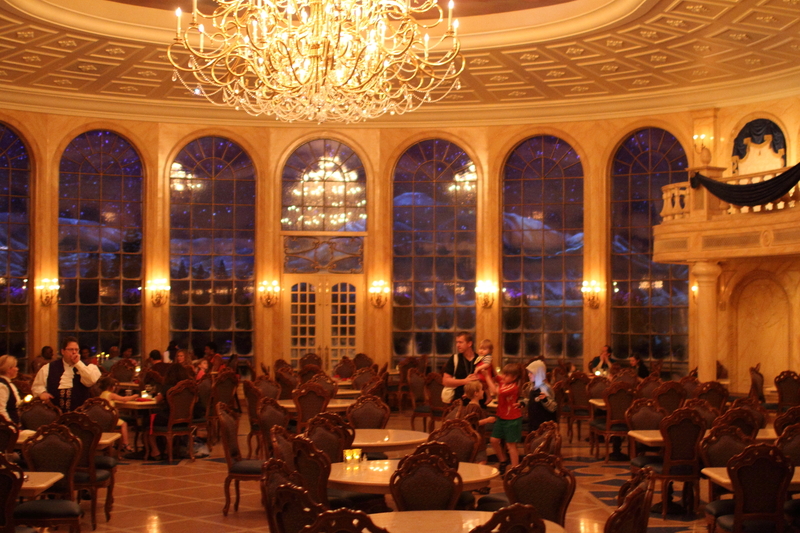 The ballroom has subtle special effects in the snow covered scene through the rear windows. 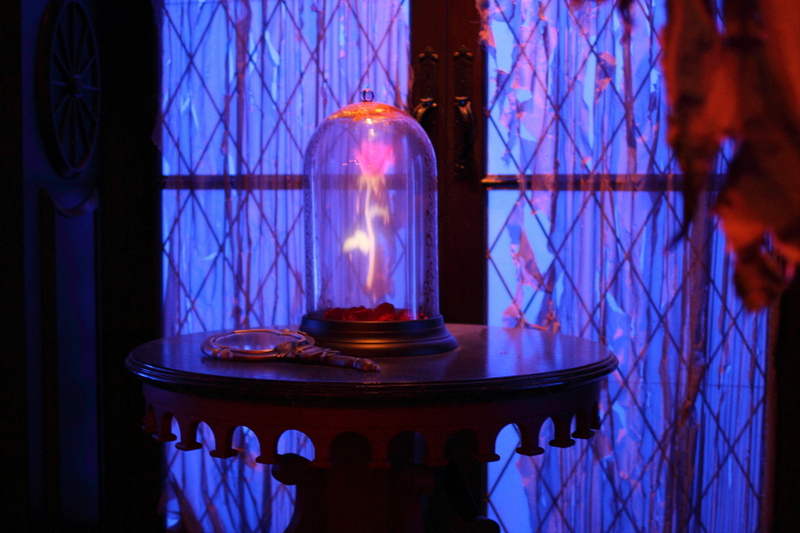 Since we visited near the end of service, we also walked through the Beast’s West Wing which is chock-full of animated visual effects including a rose that in reoccurring fashion looses its petals and a painting that changes image. But we are here to eat. 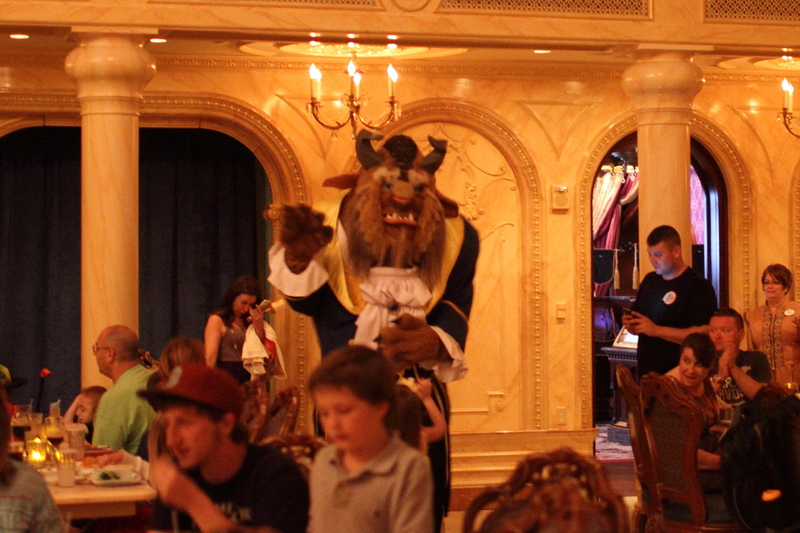 Be Our Guest seemed a bit apologetic about it’s menu. 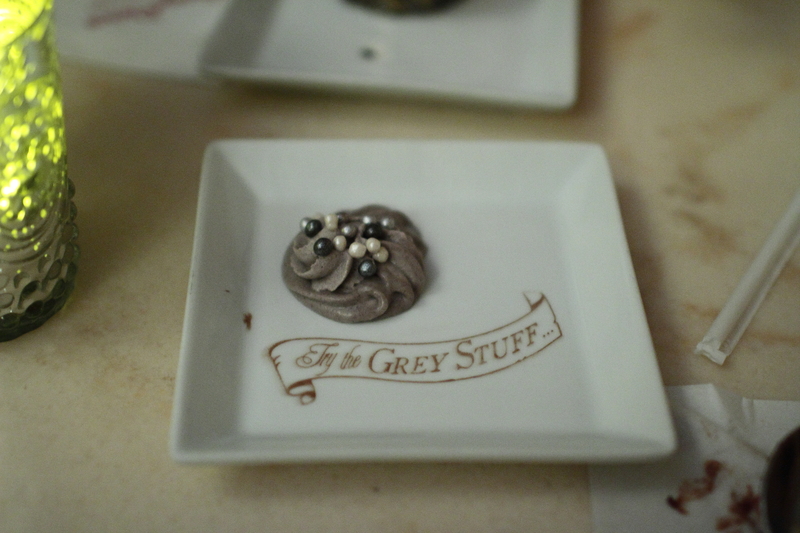 After all, it’s serving fussy French food to theme park goers. 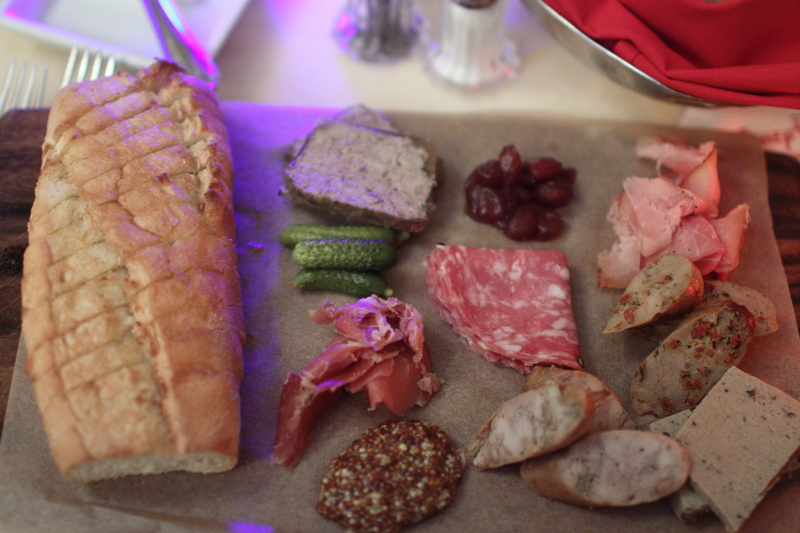 We had the Assorted Cured Meats and Sausages (a.k.a. 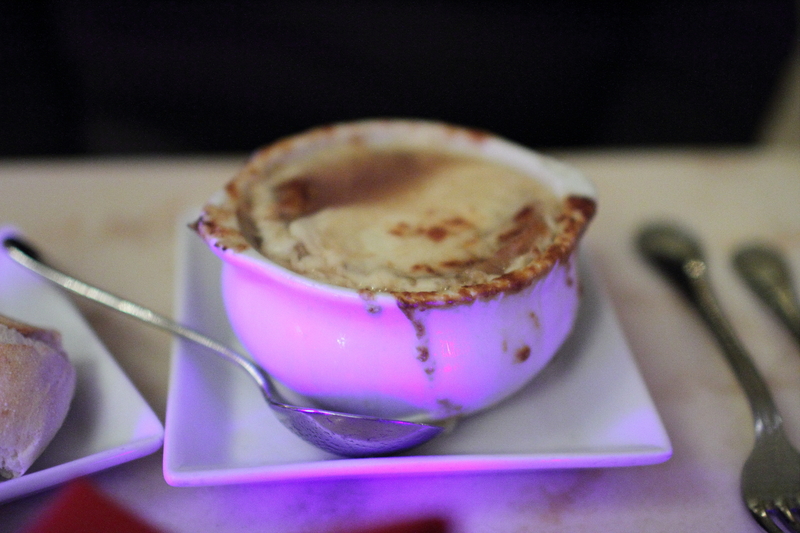 charcuterie), French Onion Soup (no confusion here), Sautéed Shrimp and Scallops (a.k.a. 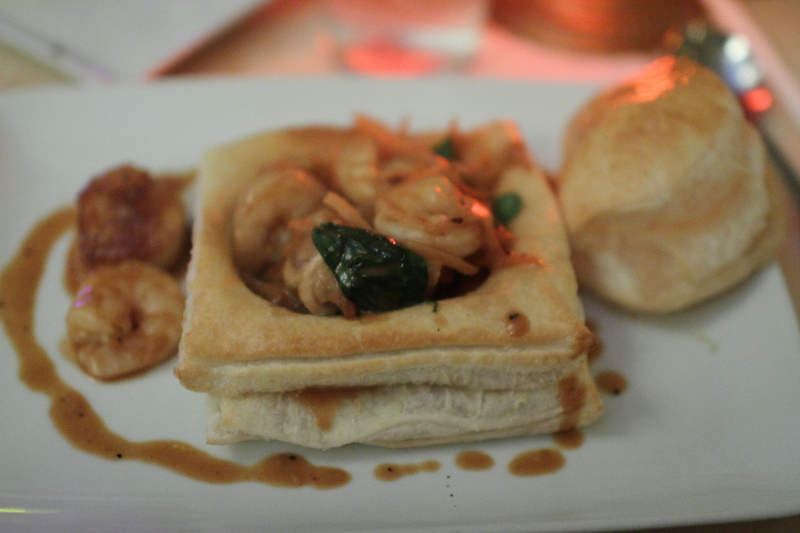 lobster Newburg, without lobster), and Ratatouille (we know this one because Pixar showed it in a movie). 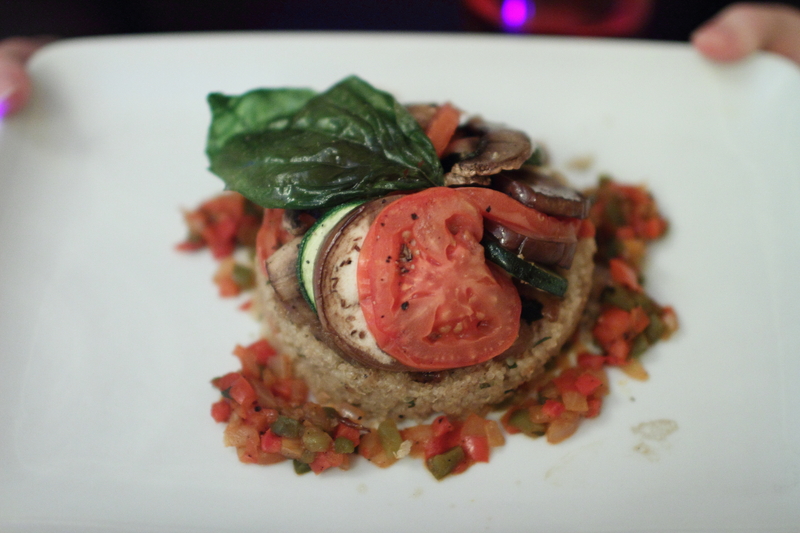 All were great except for the Ratatouille which was undercooked, but quickly replaced with a perfectly prepared pork chop. In fact, there was so much concern over the quality of the Ratatouille that we were visited by two managers. 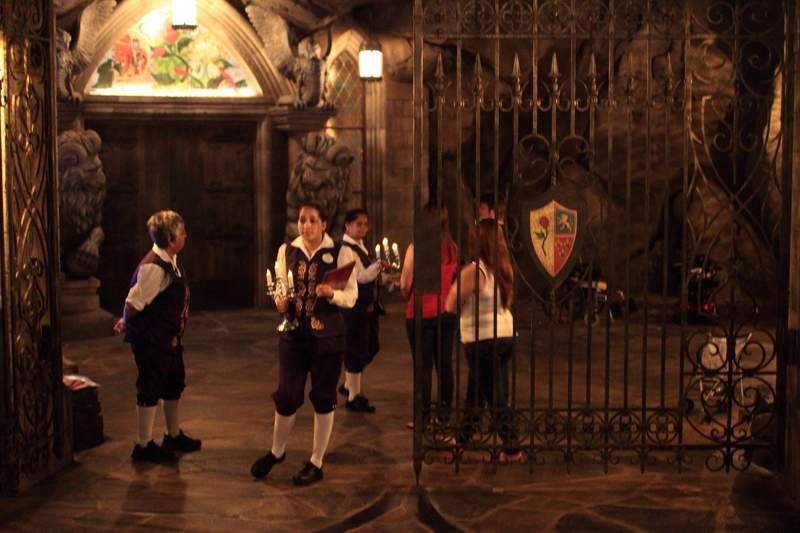 They were very concerned about keeping up standards and seemed to make it a goal to be the best in-park restaurant. Our waitress through all of it was fantastic. 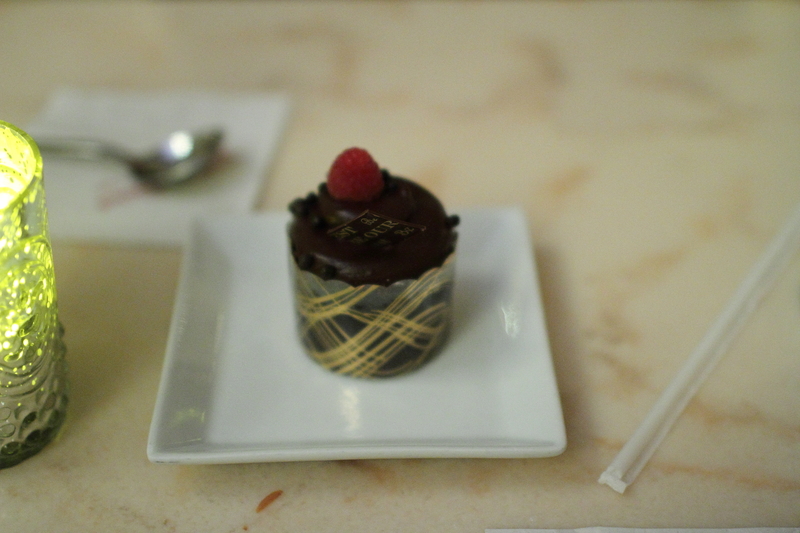 To be clear, this is not fine dining. 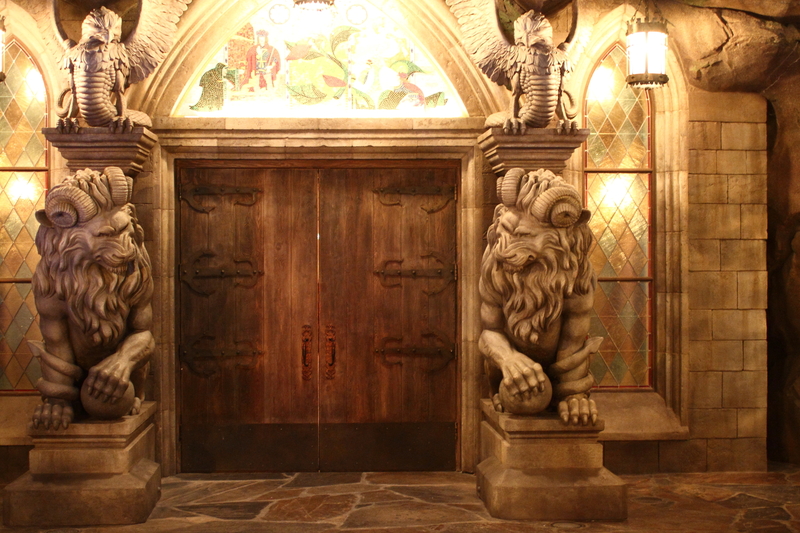 The surroundings are rich and detailed as to be themed like a palace, but the culinary goal is more brasserie in style. 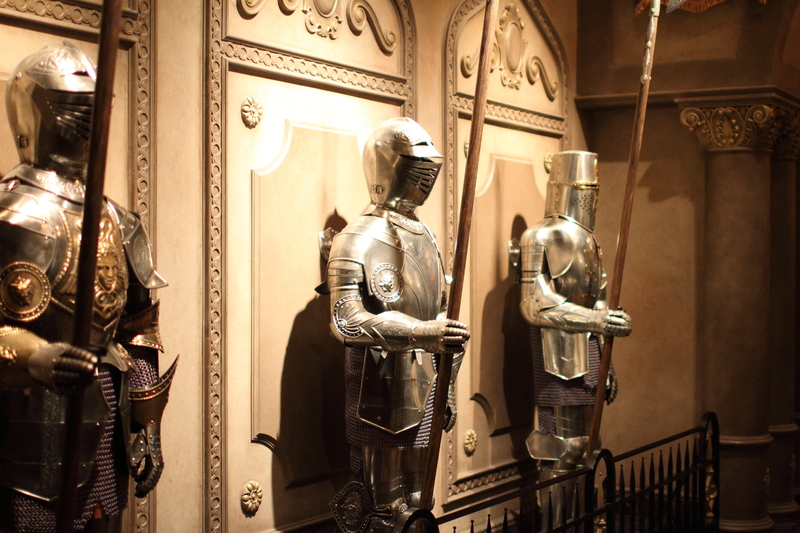 The service was efficient, but we were never rushed. The food was not composed of expensive products, but did not taste mass produced (an achievement for a 550 seat dining room). The wine wasn’t anything to talk about, but it paired well with the food. 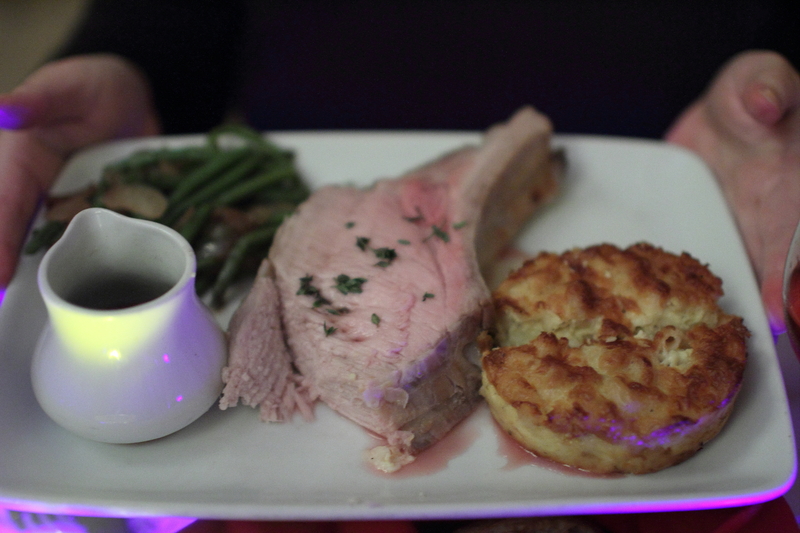 Overall, we had a relaxing meal that blew away our expectations. 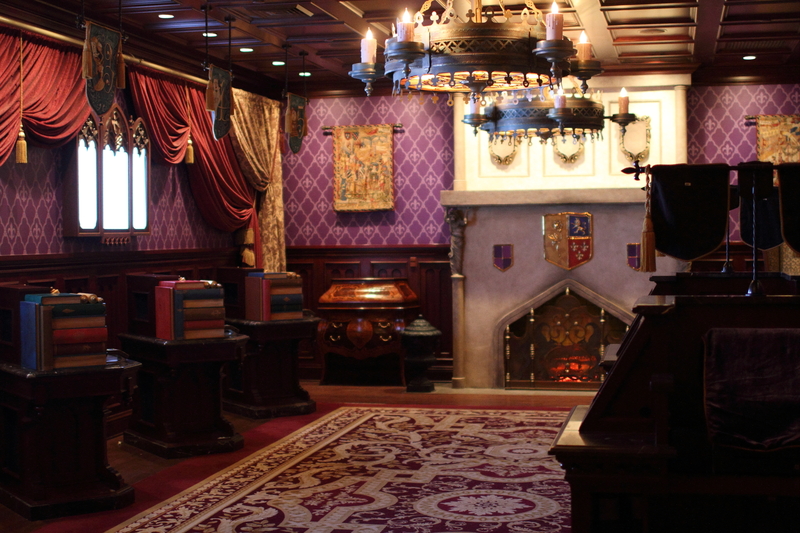 Reserve a couple hours to eat and walk around to see each room. 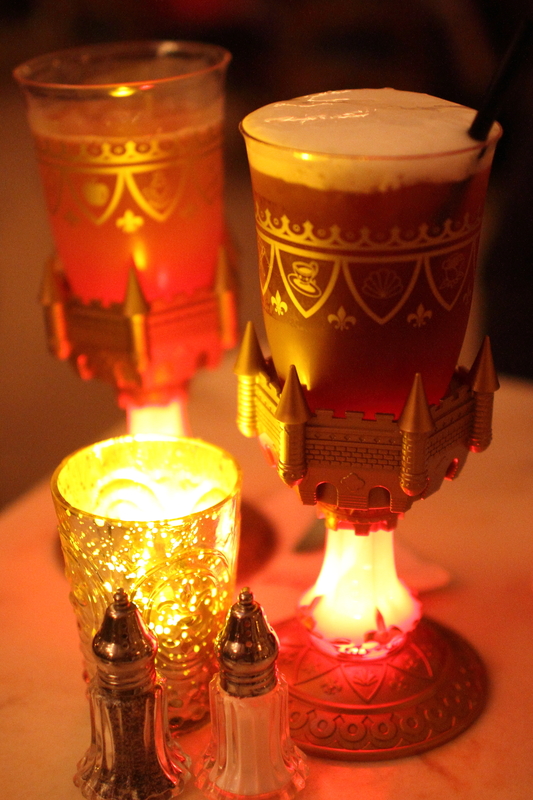 One warning: after a long day in the park and a couple glasses of wine, you will be tempted to buy a beverage in a blinking, color changing goblet. Try to resist. They don’t look as good in the light of day. 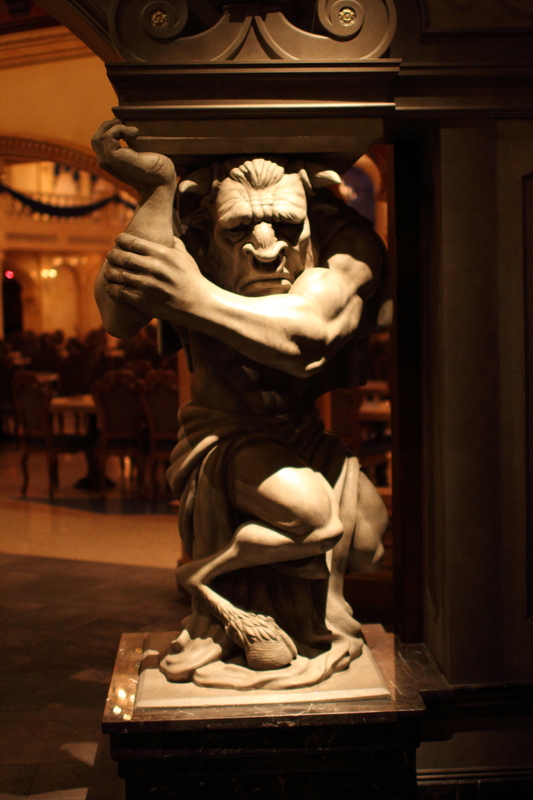 Posted in Vacation and tagged Canon 7D, crowds, Disney, gargoyles, princesses, visual effects, yin-yang on May 2, 2013 by Doug.